After a workers’ blockade in front of the IKEA storage in Piacenza was violently cleared on November 2, the protest spread to other cities. Solidarity rallies were organized in Bologna and Piacenza on November 7 and solidarity demonstrations took place on November 10 in front of many Ikea stores all over Italy. 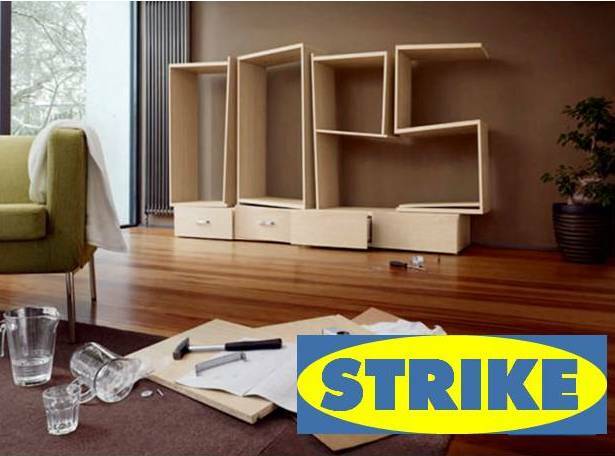 Tension further escalated on November 7, when IKEA announced the downsizing of the Piacenza storage node and 107 layoffs, blaming the struggling workers for this decision. This prompted the three major unions CGIL, CISL and UIL to step in, opening negotiations to “solve the storage crisis,” allegedly caused by the workers. The threat of layoff was later withdrawn as a tentative agreement was reached, while the situation of the 12 cooperative employees already fired in retaliation did not change. As a side result, the episode has widened the traditional gap between the independent left-wing union COBAS and the major unions CGIL, CISL, and UIL (which altogether are sometimes referred as “confederate unions”). The three unions dismissed the concerns of the porters, voiced by COBAS, labeling them as isolated complaints that do not represent the workforce at large. However, a group of struggling workers replied with an open letter reiterating their choice to be represented by COBAS and asking, among other things, that the same national Collective Agreement is extended to all cooperative workers employed in loading and unloading. This entry was posted in Tertiary and services, Unions and tagged CGIL, CISL, COBAS, Ikea, Piacenza, UIL. Bookmark the permalink.